SONY Digital Paper DPT-S1 Discounted? Remember the SONY Digital Paper DPT-S1 ? A 13.3″ device with flexible electronic paper technology from E-ink? It is perfect for reading business documents under sunlight and outdoors in general. 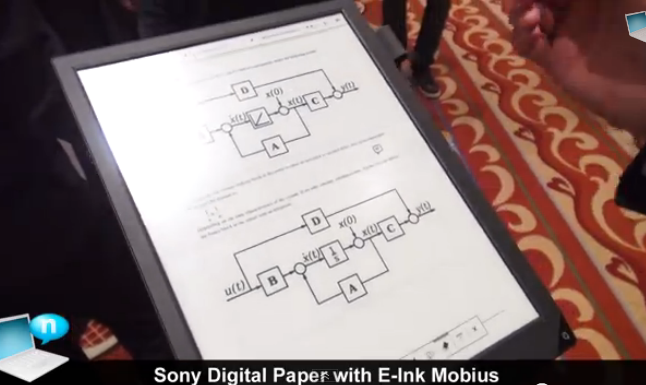 SONY Digital Paper is thin and light and supports dual input with touch and active pen. There is one problem though: this device has been quite expensive to get this side of the world. Those interested can pick one up on Amazon for as low as $1350. At this point, I’d settle for a Kindle DX with a frontlit, high resolution display.